Monsef told The Canadian Press the goal is to set national standards to ensure that all Canadian students have access to sexual-assault resources that are "trauma-informed" and "culturally sensitive" to the diversity of survivors' experiences. 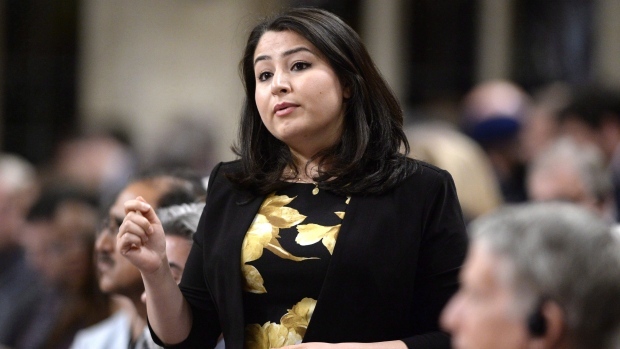 "We've been asked to come in and fill in gaps where they exist, and enhance and scale up best practices where they're occurring," Monsef said in a phone interview Wednesday. The Liberal government has committed $5.5 million over five years towards the initiative, which was announced in the 2018 federal budget, alongside a threat: Starting in 2019, the government said it would consider yanking federal funding from post-secondary schools that aren't implementing "best practices" to address sexual violence. Asked what kinds of federal funding could be revoked from schools, Monsef said, "We're not there yet." 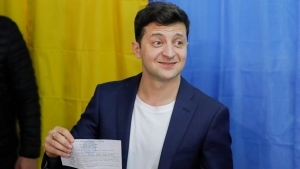 However, she said the advisory committee will discuss measures to ensure the framework is implemented, and if all else fails, the government will enforce them. "This is not something we take lightly," said Monsef. "We believe that it's more important to develop something with everybody at the table and making sure we get it right at the front end, rather than develop something for those who will be responsible for implementing and then asking them to enforce it." Monsef said the aim isn't for the committee to duplicate these efforts, but to reconcile the "hodgepodge" of policies that a number of schools have adopted to varying success. As an example, Spencer points to a number of post-secondary institutions in Quebec that failed to meet the province's Jan. 1 deadline to adopt sexual violence policies. Quebec's education ministry posted on its website last Thursday a list of schools that have complied. "None of the (provincial) legislation has actual robust oversight mechanisms outlined," Spencer said, adding that many of these laws don't meet the student group's minimum standards, such as setting out clear timelines for sexual-violence complaints. "Federal oversight is an important step in changing the culture that exists on these campuses, and the provinces and the federal government will have to work together on this." Trina James, treasurer of the Canadian Federation of Students, who sits on the advisory committee but couldn't attend Wednesday's meeting, said she could not discuss the group's internal workings due to a confidentiality agreement. James said she's heartened to see the conversation about campus sexual violence taking place at the national level, but it remains to be seen whether these efforts will be backed by the resources necessary for schools to tackle the problem on their campuses. Key drafters on the advisory committee are expected to deliver a final report on the framework this spring.